When TAP started working with Pacific Brands Underwear Group (PBUG), the organisation had been through a turbulent time. It had experienced year on year decline in sales for four years, had significantly restructured the business in each of those years, and the new Group General Manager, Anthony Heraghty, was the fourth in that time. As a traditional wholesaler, PBUG was being squeezed between private label brands and international entrants to the market, and their business model was under threat as they experienced a rapidly deteriorating route to market. Every member of the Senior Management team was either new to the organisation or new to their role. After a failed attempt to sell the business to private equity, the strategic position was unclear. Needless to say, staff turnover was high and morale was low. The first thing we did together was create a strategic framework consisting of long term aspirations, short term strategies, and very specific behavioural standards. 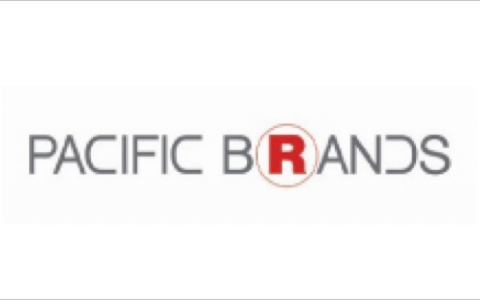 Given the previous uncertainty, this framework provided much needed clarity among senior leaders, and allowed Anthony and the team to actively engage the Pacific Brands Executive Team, the Board, and ultimately the entire PBUG organisation in the strategy. Following years of disruption and turbulence, staff were not in a mindset for fast and purposeful execution. The leadership team understood that their own impact was the most powerful lever to shift the passive “us and them” culture, and encourage the accountability and collaboration required by the strategy. Accordingly, they began an intense journey of leadership transformation, methodically working through strategies to increase their individual and collective effectiveness. They openly embraced formal 1-1 coaching, as well as regular feedback from their peers in leadership team meetings. The shared standards became a religion in the organisation such that they were used to align behaviour in all meetings and important interactions. Four strategic initiatives were identified and funded to accelerate the pace of change and enable a new, sustainable business model. These initiatives included the development of a consumer direct (retail) business, international expansion, a dramatic simplification of business processes using a ‘lean’ approach, and a focus on sustainable growth in the wholesale business. The wholesale business, which had been steadily deteriorating, is now growing. Sales and EBIT both increased significantly. All of the core brands continue to grow and there is a substantial innovation pipeline of new products in place. The consumer direct business has gone from one Bonds store, to 25 Bonds branded stores, and in addition, the team has developed Bonds Online into one of the top domestic apparel online sites in the country. In 12 months, international distribution has expanded from nothing to two rapidly growing markets, with more on the horizon. Staff turnover has decreased and morale has increased, driven by an extremely passionate and engaged leadership team. “Since engaging with TAP, Pacific Brands Underwear Group has undertaken a significant organisational turnaround. We have grown sales for the first time in four years and increased EBIT significantly. Staff turnover has decreased, morale has increased and our leaders have never been more effective. We are expanding rapidly into new sectors and new markets, and our innovation cycle time has reduced by almost half. Personally, my leadership impact and effectiveness has transformed, and the whole experience has positively impacted me far beyond my professional life. For us, TAP have stuck the perfect balance between making critical strategic and cultural contributions without allowing us to fall into the trap of becoming overly dependent. They have often held up a mirror that exposed our shortcomings without fear or favour, provided wise counsel during the most challenging times, and have partnered with us to ensure the work will live far beyond the current administration.